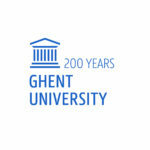 “Structural Determinants of Economic Performance in the Roman World” (SDEP) is a Scientific Research Network funded by the Research Foundation Flanders (Belgium) (FWO). The network brings together research teams from all Flemish universities and thirteen universities worldwide (see the members page for the full list). Our aim is to study what drove economic development and how this in turn changed Roman society. Our ambition is to combine textual data—epigraphic, papyrological and literary—and data from economic archaeology and natural science research with new theoretical frameworks drawn from neo-institutional and development economics and to put these in a comparative and longue durée perspective. The study of ancient economies entered a new phase in the 1990s. Economic archaeology and natural science research provided new data on economic performance. Neo-institutional and development economics offered new theoretical frameworks. Comparative and longue durée analyses gained central importance. Most scholars today think that levels of economic performance in the Roman world peaked c. second century CE and were not surpassed until well into the early Modern period. Paradigmatic and methodological shifts, however, raise new research questions. How reliable are archaeological proxy data? How can we ensure that cross-cultural or trans-epochal comparisons are meaningful? Was the course of economic development (e.g. of markets) determined by changes in the institutional framework or vice versa? What structural constraints and possibilities were determined by ecological factors ? SDEP enjoyed a first five year funding cycle from 2012 to 2016. For the results of this first quenquennium see here. After a positive evaluation SDEP received a new five year grant for the period 2017-2021.